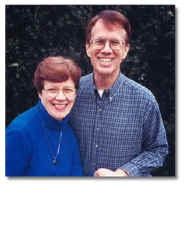 Don, Cynthia, and their three preschool and elementary children had been serving in Africa for three years. They had come to terms with the dangers related to malaria and cholera, but ebola had just been confirmed in a village only a few kilometers from the city where they served. The risks related to ebola are now much higher, and they now have to decide whether to move to a safer place or to stay and continue their ministry. Having three young children complicates their decision. Their agency told them they had the choice of staying or leaving. Vern and Peggy were just finishing a summer of visiting family and fund raising in their passport country when conflict broke out in their host country, and the situation was approaching civil war. Their children were all in upper middle school or high school and attended boarding school in a stable country. Their host country had been quite safe with only a few travel alerts, but now there were travel warnings for much of the country, especially the city where they served. They felt needed so much there that they would like to return, but their children were afraid they would be killed. Their agency also left the decision up to them. Most agencies have policies and/or recommendations for people serving with them. Sometimes those policies are firm and require missionaries to leave the country or not to go to places under specific dangers. However, those policies sometimes leave the final decision up to the people involved, and "to go or not to go" becomes the question. Danger and risk are found everywhere. Thousands of people die every year from antibiotic resistant diseases they catch in hospitals in their passport countries. People are murdered each year on the streets of the cities in their passport countries. One concerned parent in the USA called a cross-cultural worker in Asia during the second week in September 2001, offering to fly the whole family back to the USA. The family declined, pointing out that they were not the ones under attack by terrorists. Danger from disease, violence, tsunamis, weather, earthquakes, accidents, and so forth are found literally everywhere. The question is whether or not to go to places where known high risk dangers exist. Millions of people choose to live where these are likely to occur, and as a result thousands die each year. Other people get caught in such situations through no fault of their own. Of course, when only adults are involved and they have the freedom and means to leave, few ethical questions are raised. However, when children are involved or people are forced into these situations, new issues rise. Let us consider some of the questions that arise, what people did in Bible times, and how to make such decisions today. The Bible is not silent about this situation of facing danger. Here are some things that Jesus said and some that Paul did. When sending his disciples out Jesus gave them a long set of instructions (Matthew 10). First he told them where to go, what to do, what to take along, and how to find lodging. Then he told them what to expect and what to do when certain things occurred. Stand firm. He told them they would be handed over to local councils, flogged in synagogues, arrested, betrayed, and people would hate them, "but he who stands firm to the end will be saved" (vs. 17-22). Flee to another place. He told them, "When persecuted in one place, flee to another" and that they would not go through all the cities of Israel (v.23). He made it clear that at some times they would stay in the dangerous place where they would be arrested and beaten, and at other times they were to leave those dangerous places and go elsewhere. The apostle Paul illustrated this in his ministry in the book of Acts. Fled to another place. Paul and Barnabas had a fruitful ministry in Iconium. However, when the Jews and the Gentiles plotted together to stone him, "they found out about it and fled to Lystra" (Acts 14:1-6). Stood firm. When Paul and Barnabas arrived at Caesarea, Paul was warned by a prophet that the Jews in Jerusalem would bind his hands and have him arrested. People listening begged Paul not to go, but he went anyway (Acts 21:7-14.) He was arrested in Jerusalem. Note that one time Paul fled, and at another time, he stood firm even though he was arrested. In addition to passages of scripture such as those above, missionaries need to develop their own "theology of risk." This is really not as scholarly as it sounds because all it means is for missionaries to put in words and internalize what they believe about God and how that applies to the risks they are facing. Some of the first ones to do that were Evan and Jewel Evans who served with their four daughters in Sub-Saharan Africa for decades. As their world unraveled, the family decided that they needed such a theology. They found that God promised them two things. God would be with them. God's grace was sufficient for anything they would face. They finally took a vote whether to stay or not, and everyone in the family felt that God was not finished with them there, so they would remain in their adopted land regardless of the cost ( "Coping with risk: working in an uncertain world," Interact, Winter, 2005). Missionaries wanting a five-page Bible study, "Toward a theology of risk" can get it by going to the SIM website at http://www.thrive.sim.org/ and searching for "risk." Those who would like to see a sample theology of risk and read one for short-termers can find it at http://www.baptistsonmission.org/News/A-Theology-of-Risk-for-NCBM . Apparently no books have been published about developing a theology of risk, but missionaries can develop one by writing down what they believe about God and reading Matthew 10, Matthew 24, John 16, and 2 Corinthians 11, and determining how their beliefs about God apply to the situations Jesus told his followers they would face, and those Paul actually faced. The basic decision rule is that people who do not want to enter or stay in the danger situation should not be forced, pressured, or shamed into doing so. Anyone who wants to be out of it should be allowed to go or stay out. Policies or guidelines of the agency should be followed. When missionaries join an agency, they agree to live by those documents whether they agree with them or not. If the agency tells them to evacuate, members are bound to follow the policy even if they want to stay. Of course, the agency may make an exception if it wishes to do so. Adult individuals or couples can make their decisions as individuals or as couples. They can act as their theology of risk determines, as long as it is within their agency's guidelines. Of course, when small children who do not understand what is going on are involved, their parents are the ones to make the judgments on whether or not they enter or remain in the danger area (if policy permits this). Agency policies may dictate that children and their mothers evacuate or stay out. Families with older children and adolescents should include those offspring in the decision even if not required to do so. Everyone should be involved in the discussion and the "vote." This is not just a majority vote. Like with the Evans family mentioned above, it should be a unanimous vote. Requiring anyone to remain in such a situation is likely to result in serious consequences and should rarely be done. The experts in this area are Crisis Consulting International at http://www.cricon.org. There is little information for individuals on the website, but it does describe their excellent training and seminars. God does not promise that his people will never have persecution or die prematurely. In fact, he is quite clear that some of them will experience persecution and die. What he does promise is that he will go with them through it all and that his grace will be sufficient. Hebrews 11 lists some heroes of the faith who "conquered kingdoms, administered justice, and gained what was promised" (v. 33). However, it ends by saying that others were tortured, jeered, flogged, chained, imprisoned, stoned, sawed in two, and killed with swords (vv. 35-38). On the one hand the Evans family had their theology of risk tested when seven armed robbers forced their way into their walled campus and went from house to house robbing and beating families and even killing an African worker. They were also caught in the crossfire between government troops and rebels trying to overthrow the government, but they survived. When Jewel asked their 15-year-old daughter if she thought they made a mistake when they decided to stay, she replied that she would not even consider leaving after that happened because they had counted the cost and made the commitment to stay. On the other hand, Nate Saint and the four others who were killed by the Auca Indians in Ecuador in the 1950s did not survive. Nate was criticized by some for not trusting the Lord when he had his wife Marj note his position every five minutes when he was flying. Nate wrote, "I wouldn't be here if I weren't trusting the Lord...I'm concerned about safety, but I don't let it keep me from getting on with God's business. Every time I take off, I am ready to deliver up the life I owe to God. I feel that we should be quick to take advantage of every possible improvement in carrying out the job before us" (Through Gates of Splendor, 1981, p. 48).